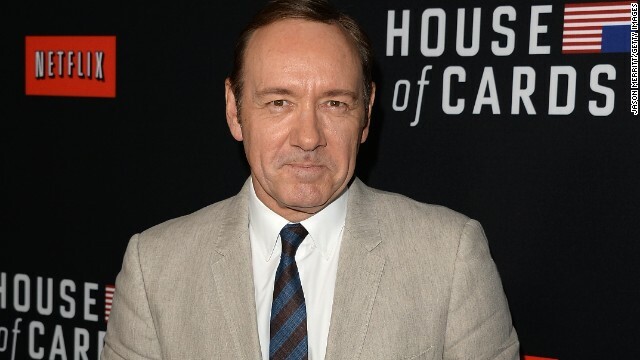 Audiences have been wowed by "House of Cards," led by characters including Kevin Spacey's Frank Underwood. (CNN) -- Mark your calendars, he's back! Frank Underwood, the cunning congressman- turned-Veep-turned-POTUS, returns to your TVs, your laptops, your tablets and your smartphones on February 27. Netflix announced the third season of uber-addictive political thriller "House of Cards" on Twitter. "BREAKING NEWS" they tweeted "President Underwood and the First Lady will be making an announcement today at 11 A.M. EST." The 12-second video teaser that followed in the next tweet had no sound and little action other than Underwood ascending the stairs to Air Force One, affixing the audience with that steely gaze. Judging by the 25,000 retweets, fans are ready to see what duplicitous, conniving, scheming shenanigans President Underwood has in store. "House of Cards," a remake of a British series, helped Netflix establish itself as an original programmer. The first two seasons cost the company some $100 million to produce and netted nine Emmy nominations and one statuette.